You can tell a lot about a culture by the problems if focuses on. 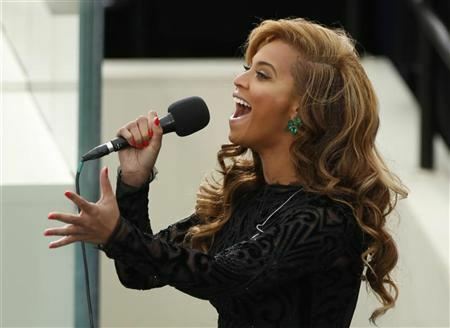 In the US miles of digital ink have been flowing about Beyonce’s inaugural rendition of the national anthem. The nature of the controversy is whether she used a pre-recorded version of the song or performed live. 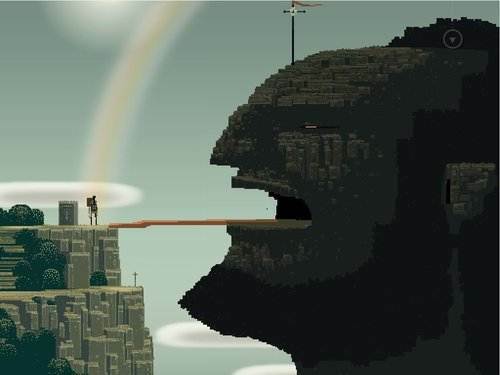 At a very deep level, this does not matter at all. Similarly, Twin Oaks is in an uproar currently about our process to reject a young woman who applied for membership. Let’s call her Abby. Abby is an artist, she was involved in the Occupy movement. I found her pleasant and engaging, but others thought she was lazy and spoiled. She got 24 accepts and 6 rejects at her poll. This resulted in her getting rejected from by the community for membership. If you are not familiar with our unusual decision-making system, you are probably already confused. For membership decisions and many others, the community uses a “negative minority centric” decision-making model. Meaning that a small number of no or reject votes can stop something from happening. “Why is this?” You might well be asking. The community has found that it does not want to use full consensus process, but it does want to empower minorities to stop changes (including the addition of controversial new members) that it has concerns about. In our membership process, it is much more important to listen to the small number of people who do not want someone to join than the generally much larger number of people who do want them to join. “But why should not the majority rule?” You are perhaps asking. There are several reasons. The first is that if you have a pleasant interaction with a visitor and not much other information when their poll comes out you are likely to accept them. However, if you know that other members were upset or displeased enough to actually reject this person, you might well have joined their veto, because they would defer to your experience. We are cautious in our membership process because making mistakes can be very painful and emotionally expensive for us. “But what if the majority is not convinced by the minority?” Our process has steps in it in which the majority can take back power. Once the membership teams decision has been made, it can be appealed if enough people are upset about it. This was the case with Abby and after the initial decision, an anxious member decided to post an override, in which the community could reverse the decision to reject Abby and instead she could do another visitor period in 6 months and apply for membership again if she wanted to. Unfortunately, this is not quite the right process. Before a decision of the membership team can be reversed by the general membership, it needs to be reviewed by the planning council and then the planners. Who normally uphold these decisions and then if there is enough political force, the campaign goes to the full community and if 50% plus one of the full members decide to change the decision it is overturned. They have 3 weeks to get all the signatures needed (tho there are some restrictions to how campaigns of this type can be run). A funny thing happened on the way to the override. The planners decided to over turn the membership teams decision. This does not happen much, usually, the planners just rubber stamp these decisions and if the membership is still concerned, once the planners have re-affirmed the choice it can go to the public override process. The planners are our chief executive body, they make decisions all the time for the community. And this decision kicked off a fire storm of internal concern. Some were concerned about the specific visitor Abby, but many more were concerned that the planners took decision making into their own hands and did not let the community override the membership team. Twin Oaks has not yet figured out how to have an override without people getting upset and hurt by it. One of our failings as a community is that we often are unable to unlink the political from the personal and if you disagree with me on this issue, we may well struggle to be friends. This controversy raged so hotly that one planner was chased out of the dining hall by a frustrated and ranting member. I have a name for this type of situation, I call it a “pocket drama.” These are small, often optional problems that are causing some people significant distress, but that does really have a very large impact one way or the other. If Abby is allowed to visit again in 6 months, she will likely face a similar number of rejects and will not likely be able to become a member. And most people (from what I can understand having not read the 20 plus pages of dialog currently posted on the topic) are more upset about the planners, not rubber stamping the membership teams decision. This really feels optional to me. We select our planners to make decisions for the group all the time. If they decide something the membership does not like, the membership has the option of overturning them (an option we take something less than once a year, though the number of unsuccessful overrides is probably twice that). If we have them review a decision, then we should be open to the possibility that they are going to disagree with it and overturn it, otherwise if they are just supposed to rubber stamp it, take them out of the loop and go straight to giving the community the option to override after the managers (before the planners) make the choice. I often get caught up in the communities pocket dramas, but this month I am at Acorn and they seem a bit far away and slightly surreal. My take is that we are lucky that we do not have mission critical choices we need to be making right now and can afford to debate these finer points. I believe that 50,000 years ago, the vast majority of functioning human brain cells were occupied with avoiding predators, trying to stay warm, fighting for opportunities to procreate, keeping offspring alive long enough for them to learn to run, and keeping some food in their stomachs. I don’t think there is an “off” switch for those brain cells, resulting in a seemingly bottomless pit of “pocket dramas”. @pnc – indeed, perhaps this is the problem. I feel more flattered that I was accepted – and more sorry that I was unable to join. @Wendy and clearly you are not dead, so perhaps the circumstance will change and you will end up in one of these communities some day. Regardless, good luck where you path takes you. This is “Abby” stumbled upon your blog looking to read more about Acorn….. and found this post. Still so confused to how this turned into such a huge controversy. I hope all is well, never intended for anything of that sort to happen as a result of my attempts to become a member. @Abby: The danger, i think, is to assume that you are actually the source of this situation. The Twin Oaks political system is a strange one and we create pocket dramas at some times when there are none needed or desired. I was not around for your viz period, but i have really enjoyed hanging out with you and would love to talk with you about being part of Chubby Squirrels and i think you might fit in better and like Acorn more than TO anyway. We will see soon enuf. My strong recommendation is that you not take our process too personally and remember that 4 times as many people thought you would eb a good member as those who thought you should live elsewhere. Thanks for commenting. Yea, I’ve been told not to take it personally.Trying not too. Even before I was rejected people told me I was probably have a better time at Acorn. I’m very excited. Also excited to run into you and hear a bit more about Chubby Squirrels. I read some of your post’s on here about it. Very interesting. I’m interested in meeting “Abby” when she visits Acorn, given her experience at Twin Oaks. Paxus, thanks for the always interesting insights into the workings of your community. “I am a revolutionist! I am a revolt against the age old lie that the majority is always right! I’m a few months late here, but I do want to clarify something. I would say the firestorm of controversy arose not because the Planners overturned the membership team decision, but because they reversed their own earlier decision at the request of a Planner’s spouse.